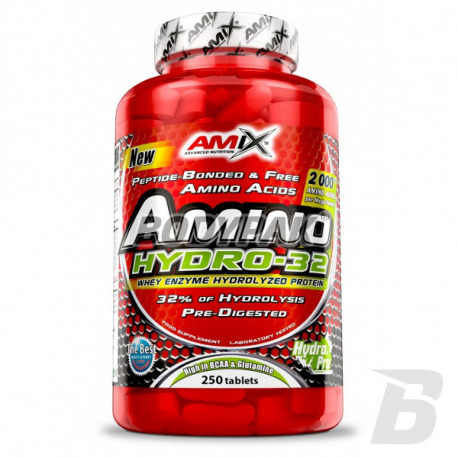 Amino AcidsAmix Amino HYDRO-32 - 250 tabl. 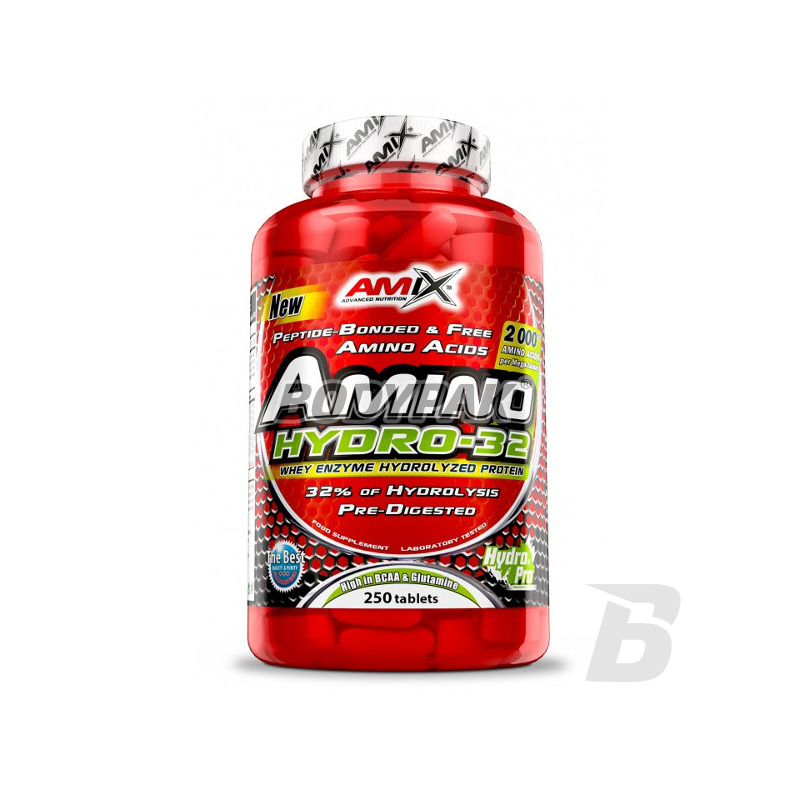 Amix Amino HYDRO-32 - 550 tabl. AmixTM AMINO HYDRO 32 is an extreme strenght amino acid supplement with 2000 mg of hydrolyzed (Pre-Digested) whey protein per tablet. AMINO HYDRO 32 contains the maximum quality source of peptide-bonded and free amino acids derived from pancreatic digest of whey protein. It is a perfect source of protein for anyone looking to increase their protein intake without adding calories. Take 3 tablets three times a day between meals or immediately after workouts and wash down with plenty of liquid. Składniki: aminokwasy pochodzące z hydrolizatu białek serwatki (z mleka), substancja przeciwzbrylająca: celuloza mikrokrystaliczna, stabilizatory: fosforan diwapnia, kroskarmeloza sodowa, substancje przeciwzbryające: stearynian magnezu, dwutlenek krzemu. Hydrolizowane aminki - idealny wybór po treningu i w ciągu dnia. Olimp Gold Salmon 12000 Amino Mega Tabs - 300 tabl. Unprecedented in dietary source of protein - hydrolyzed protein salmon! The ideal source of nutritious protein! The absorption rate and the concentration of L-arginine and L-proline! High quality at a good price!